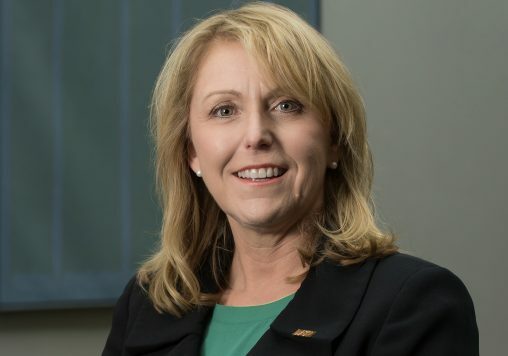 Susan Edwards, vice provost for faculty affairs at Appalachian State University, has been named the executive vice president for academic affairs and provost of Wright State University, President Cheryl B. Schrader announced May 10. Edwards will join Wright State on July 30, succeeding Thomas Sudkamp, who has served as provost since 2015. She was selected as provost after a four-month national search that included a diverse pool of approximately 50 candidates. Wright State’s Executive Vice President for Academic Affairs and Provost Search Committee helped lead the search. “Dr. Edwards’ experience as a teacher, researcher and administrator; her leadership skills; and her personal commitment to student success make her the perfect leader to join our university at this time,” Schrader said. Edwards said she was drawn to Wright State because of the university’s core values and dedication to students. The 14-member search committee, which represents a cross-section of the university, unanimously supported Edwards’ appointment. 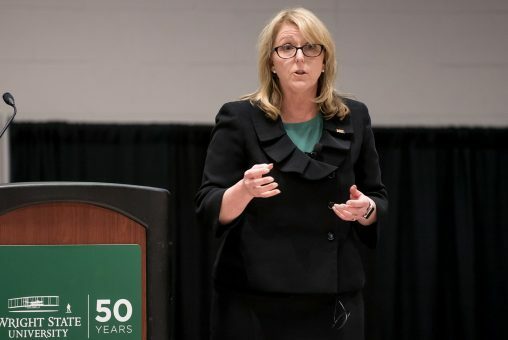 Schrader noted that Edwards personally resonated with the faculty, staff, students and community members who she met during her candidate visit at Wright State on April 23 and 24. “Those who interacted with her said they were impressed with her ability to listen closely, analyze questions quickly and communicate clearly,” Schrader said. Edwards’ background aligns well with the breadth of experiences offered by Wright State, from associate degrees to professional schools and doctorate programs to regional campuses, such as the Lake Campus, Schrader said. “She has worked at a variety of institutions, including a world-class global research university and Appalachian State, which is committed to student success and student-centered research at both the undergraduate and graduate levels,” Schrader said. Edwards plans to spend her first few weeks at Wright State meeting with deans, faculty and staff and listening to her new colleagues’ ideas and concerns. “It’s really important to be out and about and be accessible. I think if we can meet together and dialogue we can navigate most issues,” she said. Edwards values open, transparent communication, mutual respect, building understanding and helping others succeed. She said she is proud to have helped develop a strong working relationship between Academic Affairs and the faculty at Appalachian State. Edwards has served as vice provost for faculty affairs and professor of biology at Appalachian State in Boone, North Carolina, since August 2015. She is responsible for overseeing all areas of faculty evaluation and development and serves as the academic affairs liaison on all personnel matters. Her work has included a variety of focuses including oversight of campus accreditation with the Southern Association of Colleges and Schools Commission on Colleges. In 2007, Edwards left her native Australia to join the Department of Biology at Appalachian State. She then took on a leadership role as assistant chair for three years before being appointed chair of the department in 2012. Previously, she was the Australian equivalent of an associate professor in the Department of Physiology and Pharmacology and served as dean’s campus liaison at the Faculty of Medicine, Health and Molecular Sciences at James Cook University in Australia. She also served as a visiting assistant professor in the Department of Biology at Georgia Southern University. 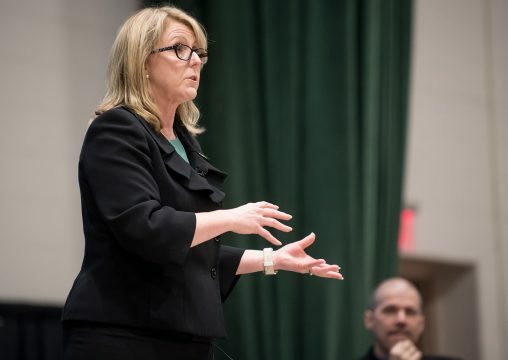 President Schrader says that Edwards personally resonated with the faculty, staff, students and community members who she met during her candidate visit at Wright State on April 23 and 24. To date, she has developed and taught over 21 courses in 10 different degree programs ranging from general biology to medicine. She has also taught degree programs in remote areas of Australia and the Torres Straits as well as at the Institute of Koori/Indigenous Education at Deakin University. She also served as a research assistant in the Brain Research Unit and Autonomic Neuroscience Group at The University of Melbourne. Edwards has published more than 30 research papers and two book chapters, co-edited the book “Hagfish Biology,” served on the editorial board of Comparative Biochemistry and Physiology from 2006 to 2018 and currently serves as the president of the Physiology Section of the American Fisheries Society. Since her arrival in the United States she has secured almost $1.3 million in research funding from the National Science Foundation. Edwards received a Ph.D. in comparative physiology from Deakin University in Victoria, Australia, an M.S. in neuroscience from The University of Melbourne and her B.S. in biology from Deakin. She has participated in the American Council on Education’s Spectrum Aspiring Leaders Program in 2016 and the BRIDGES Academic Leadership for Women at the University of North Carolina in 2014.